One of the greatest benefits of using stone veneer for your interiors and exteriors is that it is relatively low maintenance. There are, however, a few steps you can take to help your exterior stone veneer retain its beauty and freshness. Read these useful tips on how to protect and preserve your stone veneers. Do periodic inspections: Look for scratches, dents and loose materials. Although stone veneer is hardy, contact with objects and vibrations can cause damage. Check with your manufacturer as to how these can be fixed. Trained installers at Platinum Stone Veneer can help fix major damages as well as provide advice on how to do minor repairs. Re-grout if necessary: Examine exterior walls for loose or dried grout which can cause the stone veneer blocks to fall out. Check for holes or gaps around the stones. Reapply the mortar with the grouting bag. 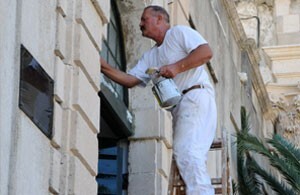 If you have used coloured mortar, take care to match the shade. Clean with water and soap: Don’t use chemicals or harsh cleaners on your exterior stone veneer walls. Instead, use warm water with a dish soap or a little vinegar and sponge the walls. You may also use a soft-bristled brush. 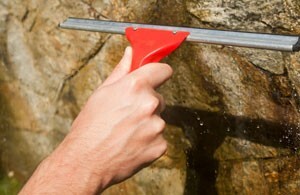 Never use high-pressured sprayers or hoses as the force will damage the stone. Try a buffing or polishing accessory to spare yourself some effort. Use breathable sealers: If you want to seal the stone veneers, opt for a breathable sealer. It is always a good idea to follow manufacturer recommendations when choosing products to clean or seal the exterior veneer walls. Platinum Stone Veneer offers high quality products and service. Our trained installers bring your designs to life with their exceptional workmanship. Should you need any assistance with selecting products or creating a design, we will be happy to help. We can also provide you with practical advice on how to optimize the lifespan of your exterior stone veneer walls. To learn more about cleaning and maintenance or installation for your exterior walls,call Platinum Stone Veneer (416) 731-8600 or request an estimate online.